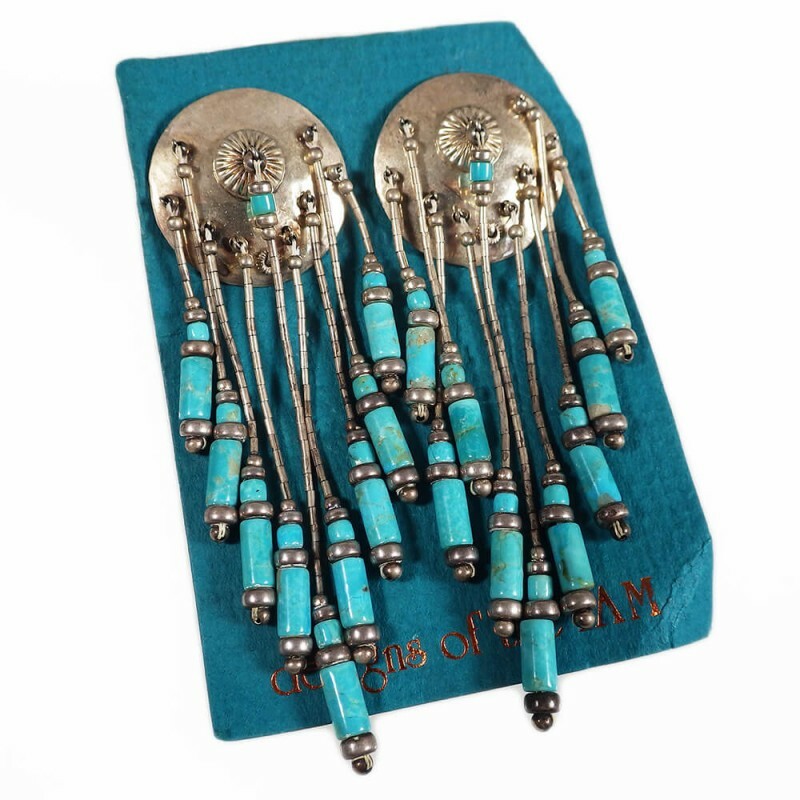 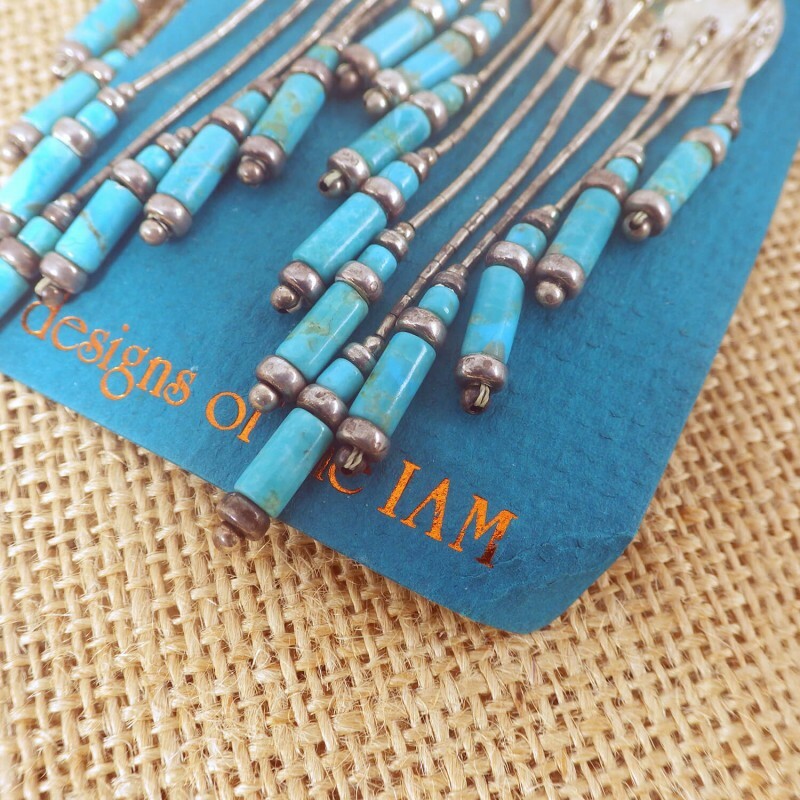 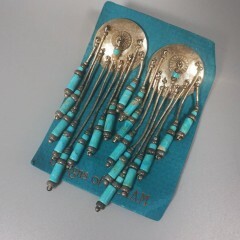 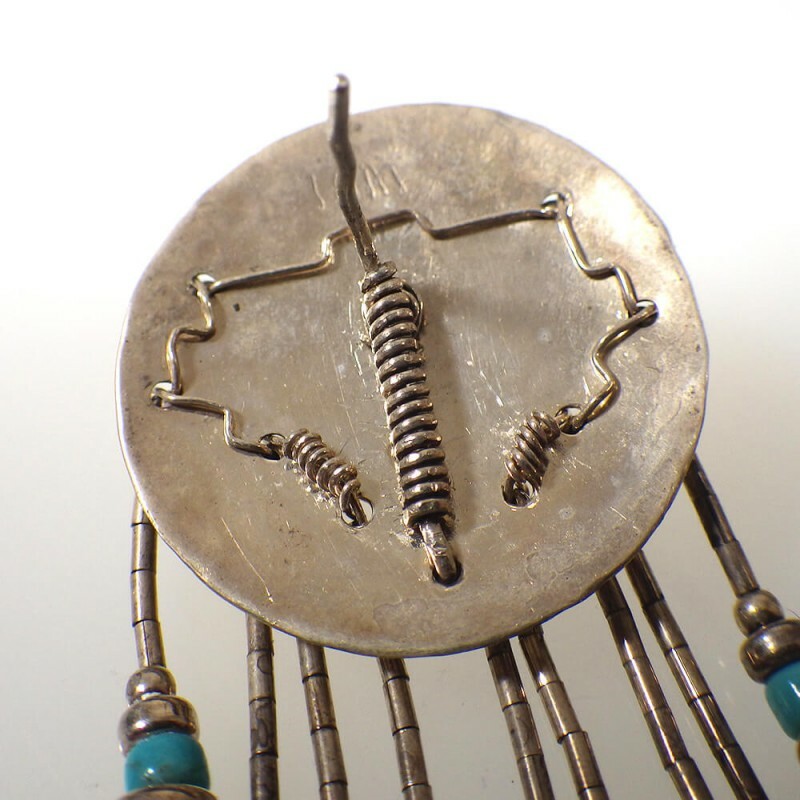 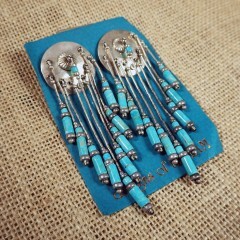 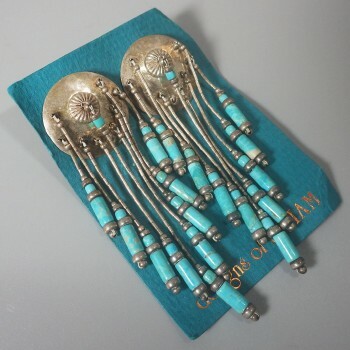 Spectacular long vintage sterling silver turquoise tube bead tassel fringe earrings, with eight liquid silver strands and turquoise beads around the lower edge and one longer strand dangling from the center of the round concho shield at the lobe. 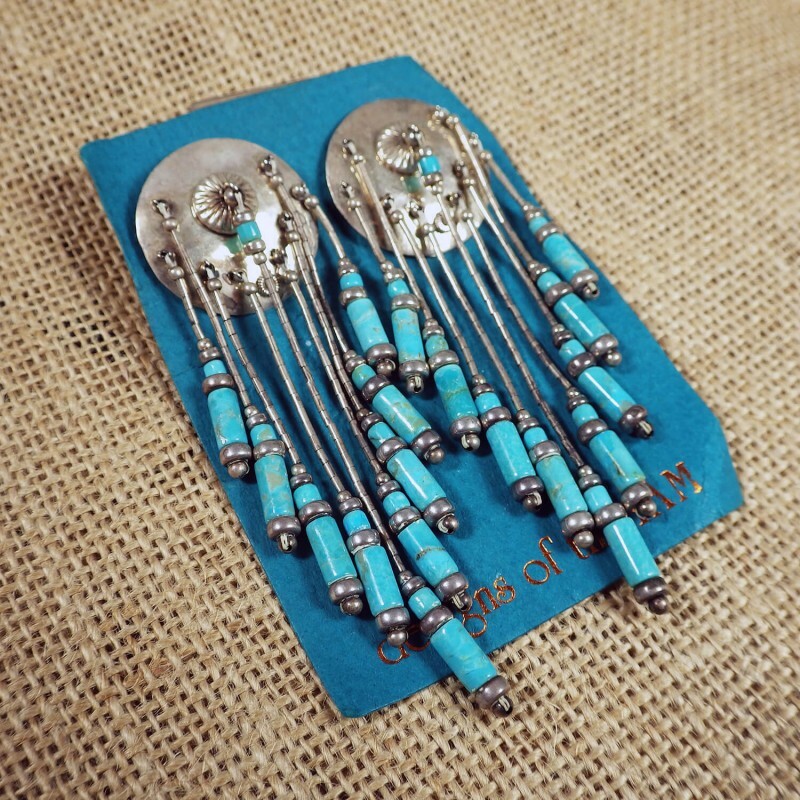 Hand made and designed in Native American style, these earrings measure 3 inches long from the top to the lowest dangling bead. 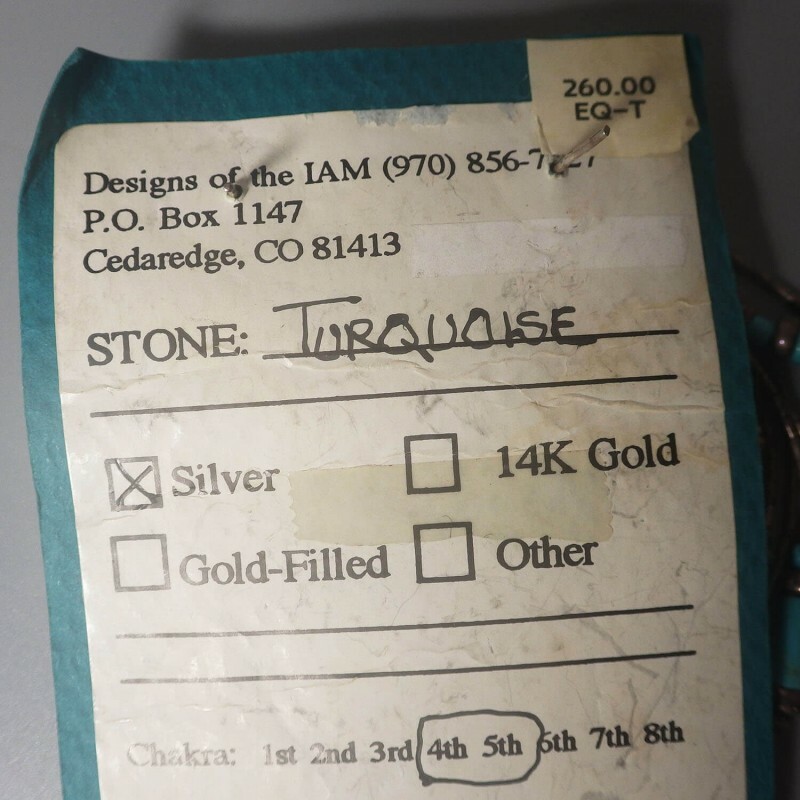 Created by Irene Morris of Designs of the IAM in Cedaredge, Colorado, my search for information on the designer has yielded very little information. 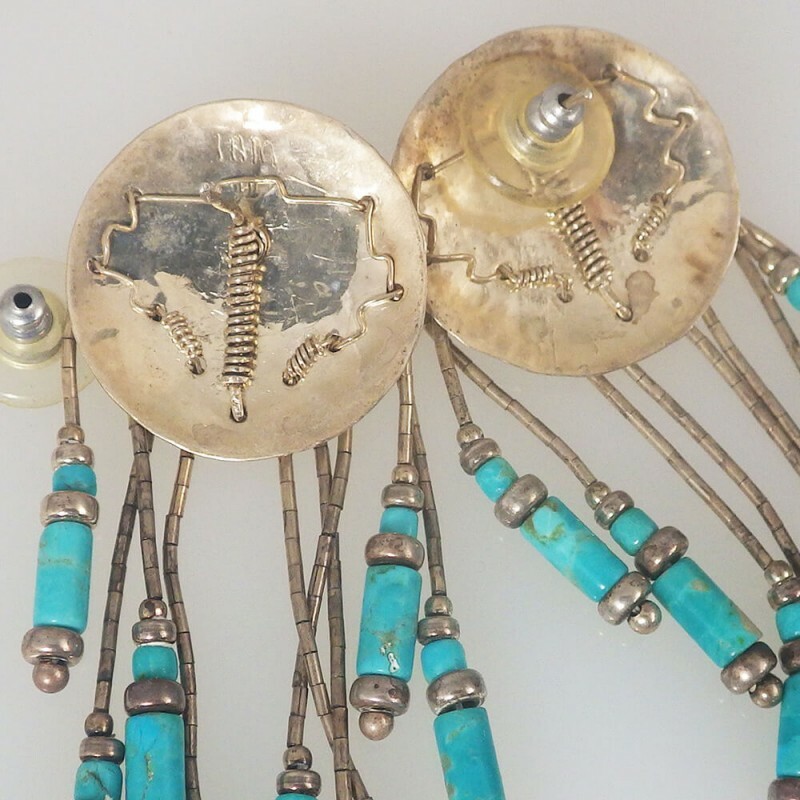 What I have found indicates she started designing jewelry more than 20 years ago and has offered courses to others on the jewelry-making process. Earrings measure approx. 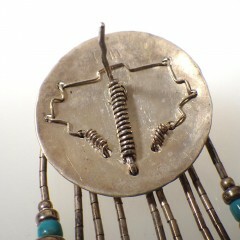 3-1/2 inch long, with the earlobe concho shield measuring 1 inch in diameter. 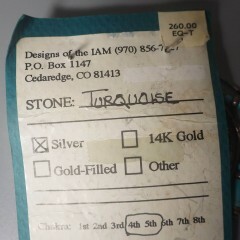 The turquoise blue display card back is embossed and stamped with Designs of the IAM, and the back label shows an original price of $260.00. 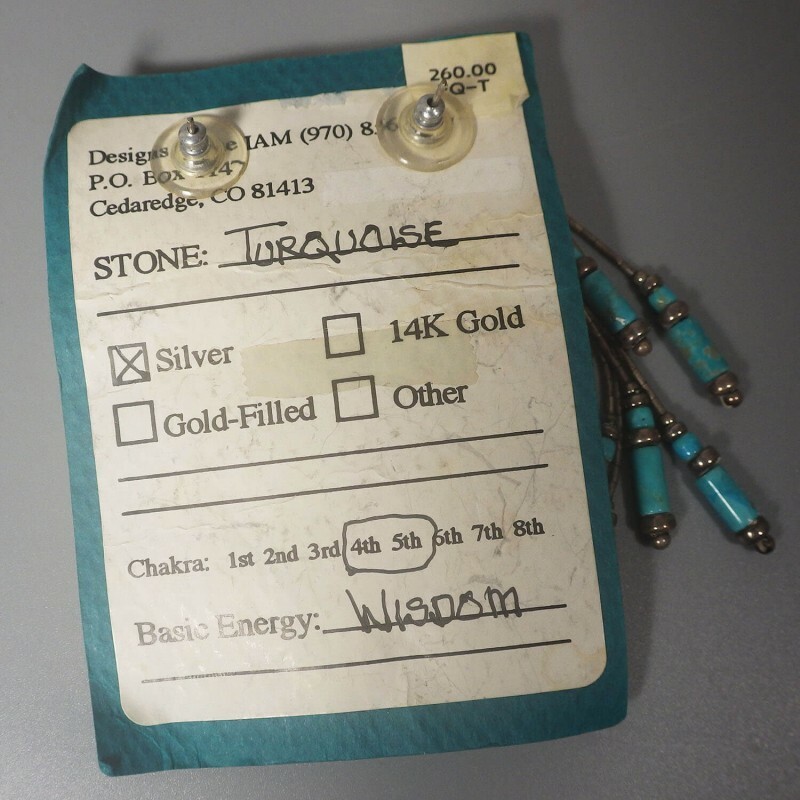 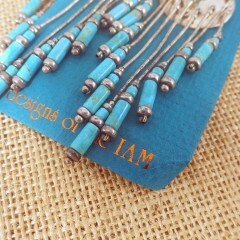 The label also shows the stones as turquoise and the metal silver, designed for the 4th and 5th chakra and a basic energy of wisdom.